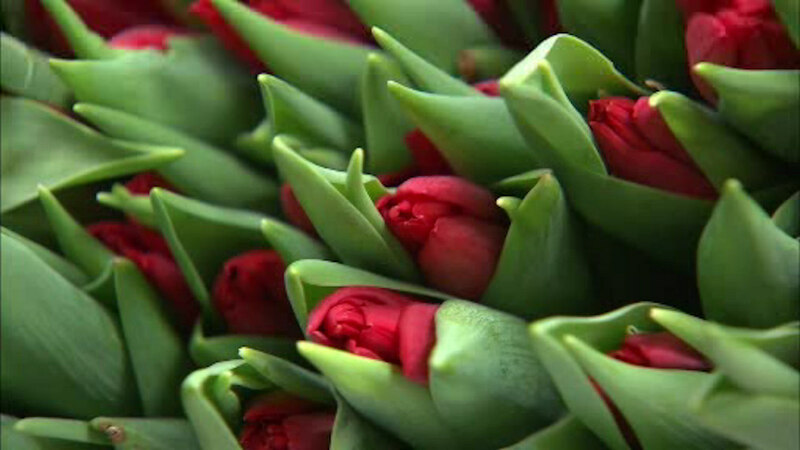 NEW YORK (WABC) -- With Valentine's Day right around the corner, a massive influx of flowers into the U.S. is keeping border inspectors busy. U.S. Customs and Border Protection agents at John F. Kennedy Airport have been, and will continue to inspect huge shipments of stem-cut flowers that are arriving from foreign countries. Agricultural specialists keep a close eye out for a variety of insects and plant diseases that could be harmful to the country. "If these particular insect or plant diseases establish themselves into the United States, they could adversely affect American agriculture, and thereby the economic vitality of our country," said U.S. Customs JFK Airport Branch Chief Robert Redes. In the 10 days before Valentine's Day, approximately 21 million cut flowers will be shipped into the New York area.